Some schools have a class pet: a hamster or gerbil, if you’re lucky. But Unicorn Academy goes way beyond that. At this unique school, located on beautiful Unicorn Island, girls and gorgeous unicorns team up! As soon as Sophia meets Rainbow, named for her colourful mane and tail, they know they’re destined to be the perfect pair. Soon they’re sharing magical lessons, having adventures and making lifelong friends. But when they see something sinister by the lake, can they solve the mystery? 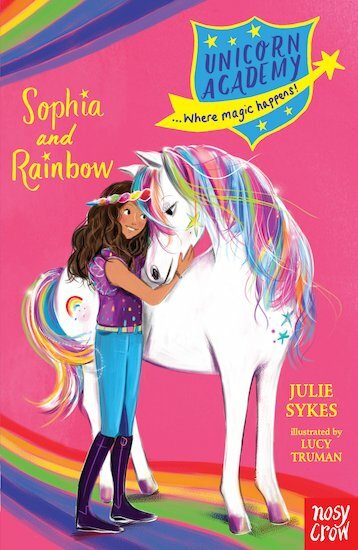 Think Malory Towers – with beautiful unicorns!